Life is a Kind of Chess. That’s Why We Teach It. “We take pride in the fact that the student experience at TLS is filled with both academic rigor and high levels of student engagement. Our TLS chess team for students in grades K-8 is a great example of an extracurricular activity on campus that merges intellectual engagement with plain old fun. 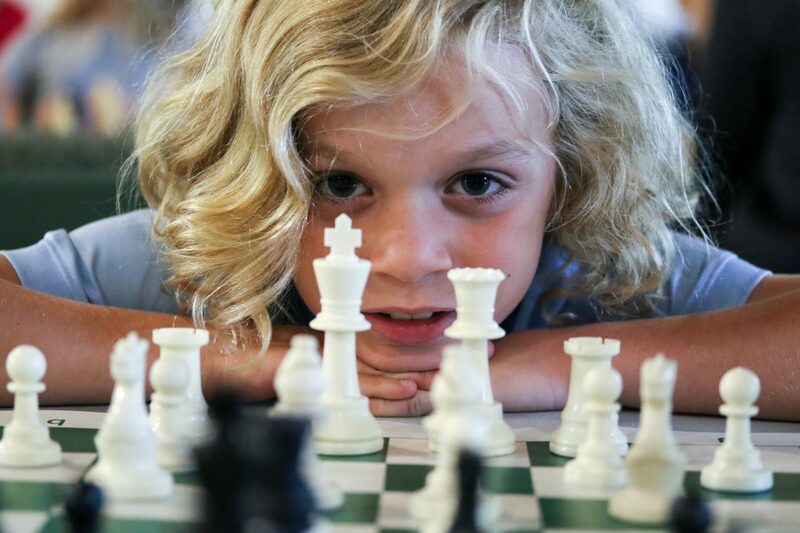 Research notes numerous benefits to playing chess, including the development of problem solving skills and a greater understanding of spatial relationships. If you walk past practice on a Monday afternoon, however, what you are most likely to hear is the excitement of students sharing strategies and ideas with each other with smiles on their faces. The team is divided into several groups, ranging from competitive players to students who are learning the game for the very first time. This allows for time for both instruction in strategic approaches and time to play friendly games in which students can apply their newly learned strategies. Teaches critical thinking skills (strategy matters). Increases social skills (don’t forget to shake hands at the end of the match)! Pumps up the brain power (active thinking is different than passive learning). Improves concencentration (just look at those faces). Teaches discipline (wait…now it’s your turn). That’s why we teach it.